Shemekia Copeland Embodies The Blues On '33 1/3' On her latest album, the singer uses her powerful vocals to address big-picture issues like domestic violence and income inequality. 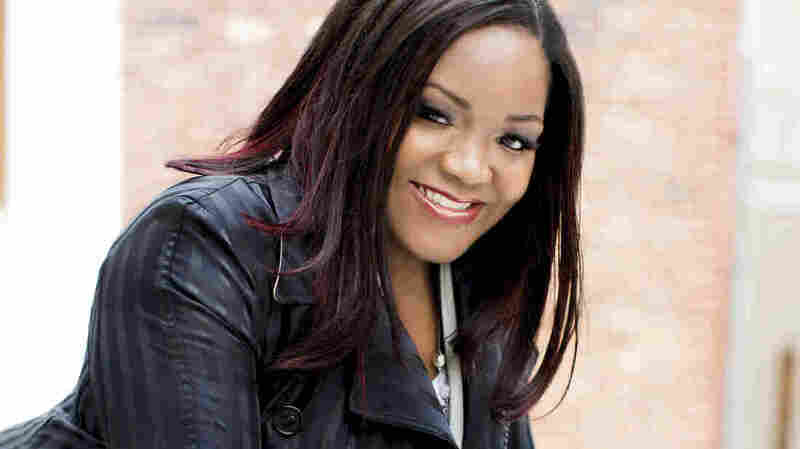 Shemekia Copeland says she didn't really find her singing voice until her teen years, when her father, the late blues guitarist Johnny Copeland, began suffering from health issues. On her new album, 33 1/3, she finds a different kind of voice — one that's eager to participate in a national dialogue. The songs on 33 1/3 address big themes like income inequality and domestic violence. "I hope you weren't expecting more / than lemon pie for the poor," Copeland sings in "Lemon Pie," in a sort of American twist on "Let them eat cake." But many of these tracks are also personal, stemming from some of Copeland's own experiences. She's as bold in her messaging as she is in her singing: Another song, "Somebody Else's Jesus," challenges religious hypocrisy, urging the faithful to re-examine whether their actions match their deeply held beliefs. Far from breaking with tradition, Copeland embodies the blues with her powerful vocal chops and fearless look at social issues. The blues has always been about what's going on — whether it's in someone's home, in the town square, all across the country or in a person's soul. It's in Copeland's blood, and on her new album, it's in her voice, too.